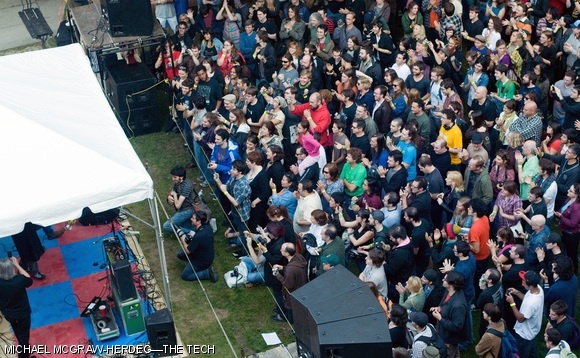 Boston-area band Mission of Burma plays old favorites and songs from their new album “The Sound The Speed The Light” in the East Campus courtyard on Sunday. Hundreds of people came to the concert, sponsored by WMBR 88.1 FM and Newbury Comics. The album, which comes out today, is the band’s third in the 2000s after a twenty-year hiatus that began in 1983.